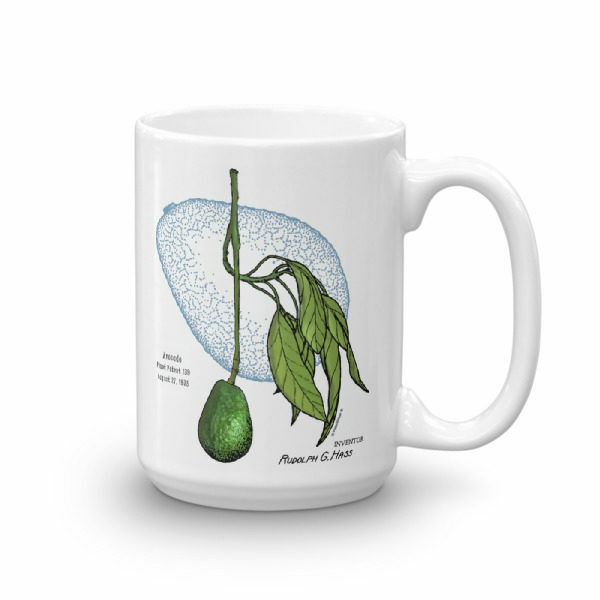 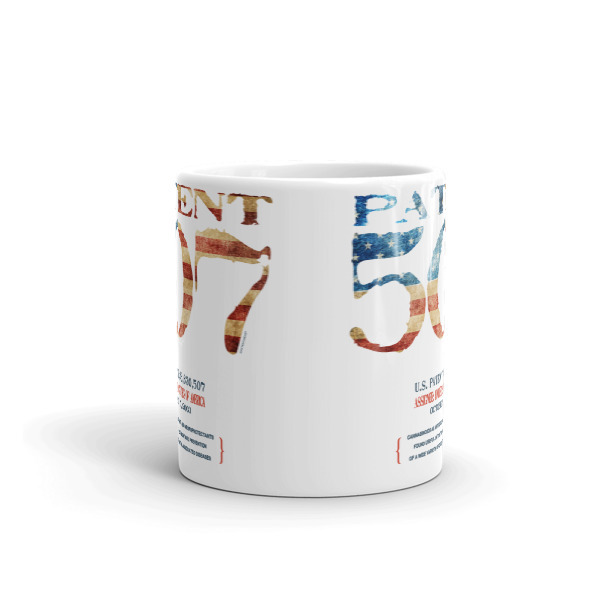 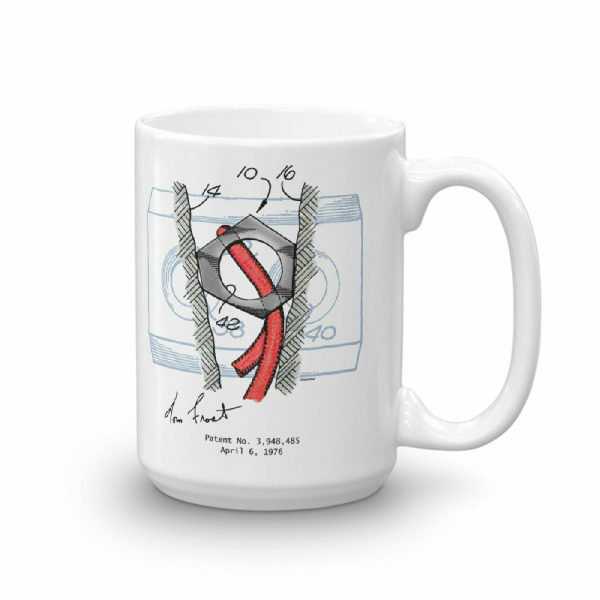 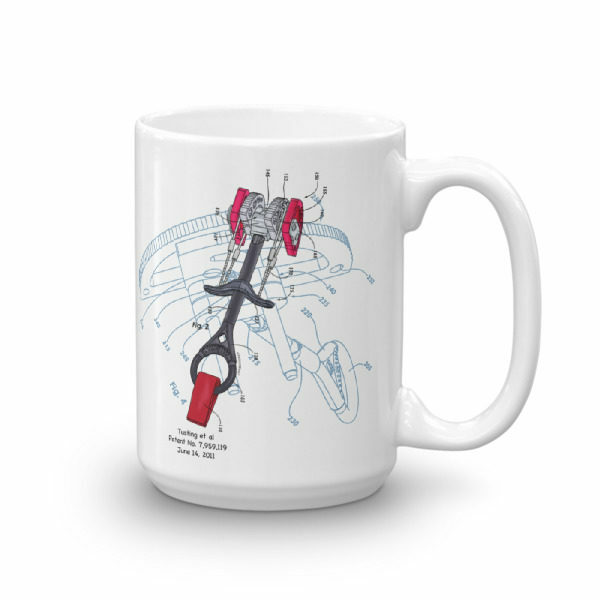 Whether you’re drinking your morning coffee, your evening tea, or something in between, you’ll make a knowing statement with this mug. 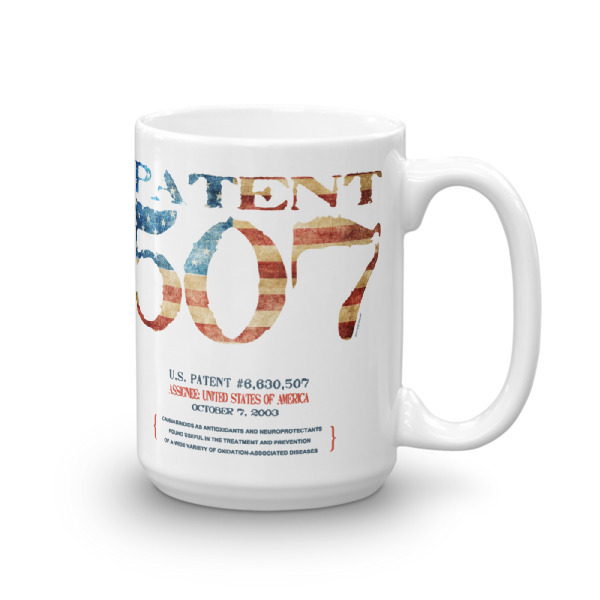 It’s sturdy and glossy with a vivid print of our Patent 507 patent design—perhaps more subtle than its sister Cannabis 507 design—that’ll withstand the microwave and dishwasher. 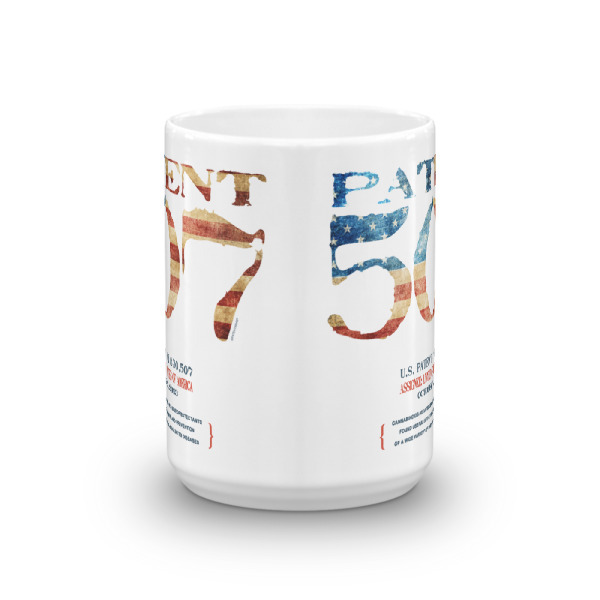 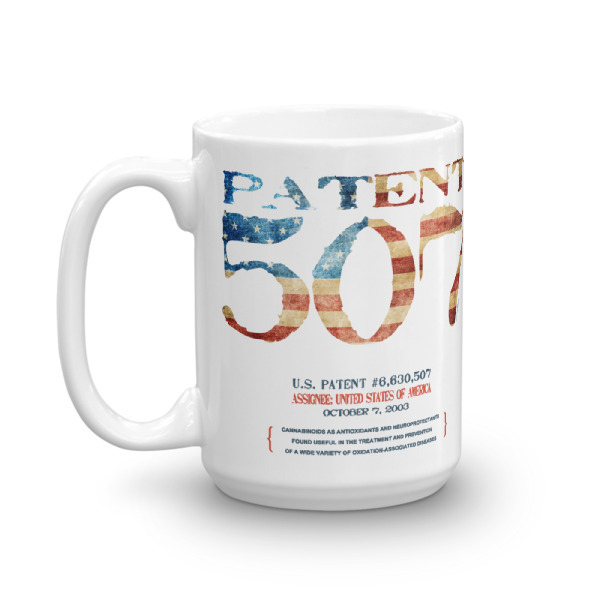 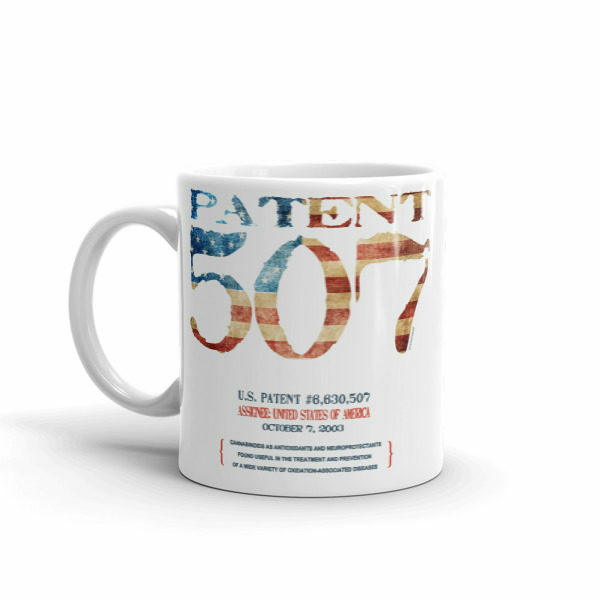 Our Patent 507 design is an understated version (without the iconic leaf image for a more conservative display) of our Cannabis 507 design, and it also reflects the irony of U.S. Patent No. 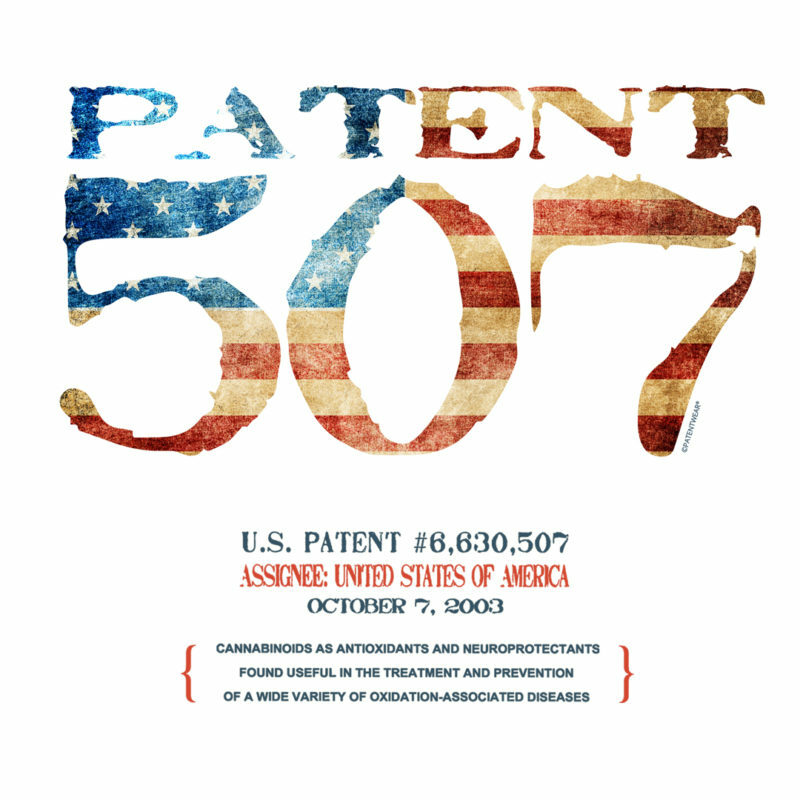 6,630,507, granted in October 2003 and held by the United States of America—whose very same government simultaneously criminalizes cannabis and lists it as a Schedule 1 narcotic, defined as “highly addictive” and with “no currently accepted medical use.” However, Patent 507 (its colloquial nickname) asserts that there are, indeed, “useful medicinal properties of cannabinoids” for “a variety of health symptoms and conditions” including relief from epilepsy, stroke, Parkinson’s and Alzheimer’s diseases, arthritis pain, inflammation, nausea, reductions in some brain tumors, and auto-immune diseases. 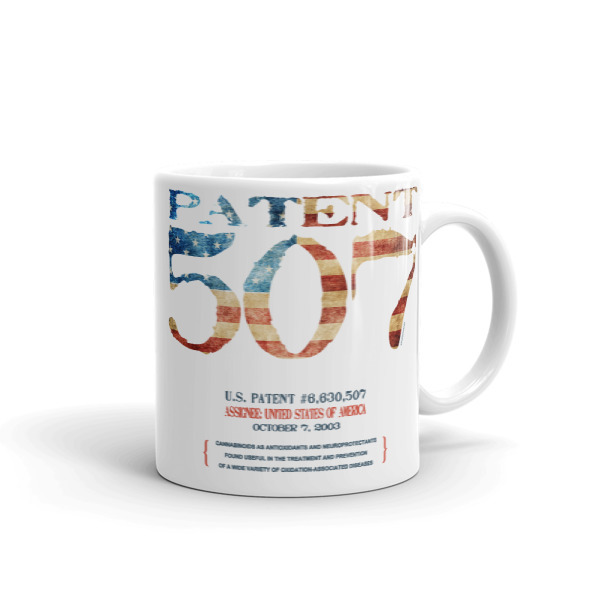 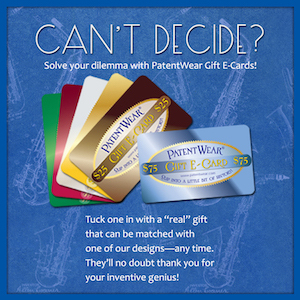 Whether benefits are anecdotal or science-based, the dichotomy of a government severely criminalizing something for which it, itself holds a patent (that cites the benefits!) restricts the clinical studies necessary to learn more. 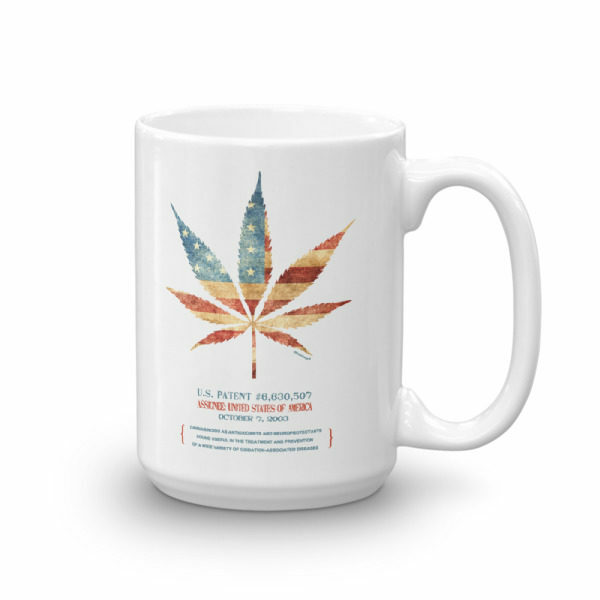 It is hoped that, through our Cannabis 507 design, a new awareness of this odd predicament can contribute some small steps towards change that ultimately includes marvelous—and universally legal—health benefits from a plant for so many of the unbearable human afflictions among us.